My palate is well used tonight and I think it's helping me to get through to some of the subtleties of this fiesty young peat monster. I would recommend drinking it later on, because its intensity overwhelms a fresh palate. 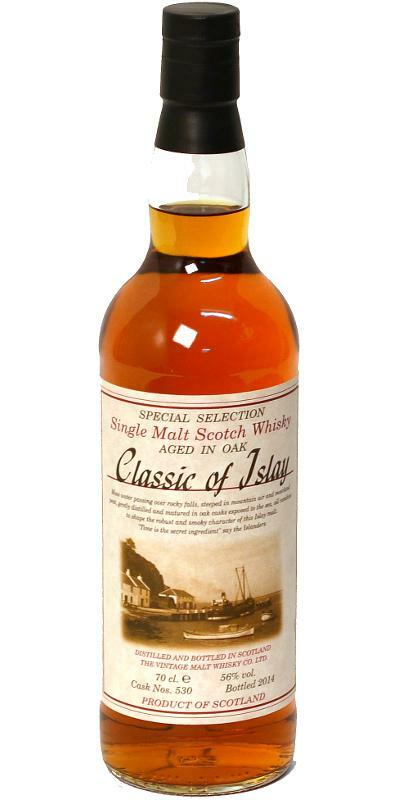 Nosing the bottle is like sniffing a freshly opened bag of Smokey bacon crisps, but in the glass there is much more to it with elements of the seashore, ozone and a whiff of diesel fumes from a trawler in the harbour. Plenty of the Smokey bacon delivered on the palate though. Ashy, but not in a drying way as there is a juicy element to it. I guess it's the malt that is carrying it through the smoke. Delicious barley sugars are in evidence. Layers of delicious smoked meats coated in sweetness like it was marinated in honey. Some salt is present to balance the sweetness. a secure mean to survive in winter. it's not sophisticated, but it's good and reliable. my rates differ from 85 to 87. anyways good whisky for little money. peatsmoke, plums in bacon, roast pork, knuckle to be precise, fat roasted and salted peanuts, peanut puffs, earthy notes, moss, wet autumn leaves, mushrooms, some chocolate covered candy oranges, malt and a touch of cardboard.